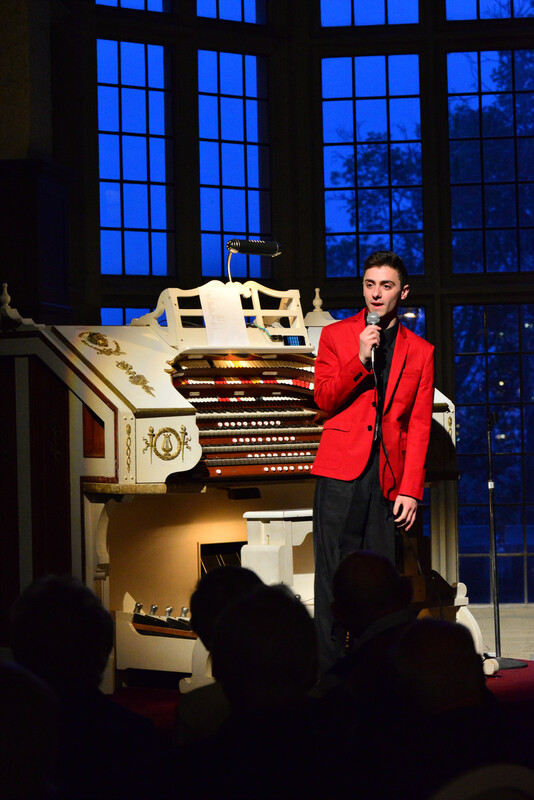 Since 2001, the American Theatre Organ Society (ATOS) has reserved a seat on its Board of Directors for a Youth Representative. The purpose of this position is to create a two-way avenue for dialogue and the expression of ideas from a youth perspective. The Youth Representative should be involved in as many ATOS events and activities as possible, and should encourage new memberships from younger individuals. The next Youth Representative must be between 18 and 24 years of age as of July 1, 2016. At least one member of the candidate’s household must be an ATOS member, and each candidate must be recommended by an ATOS member in good standing. The next ATOS Youth Representative will serve a one-year term from 2016 through 2017 on the ATOS Board of Directors. The Youth Representative's term will begin at the time new board members are seated at the 2016 annual Board of Directors Meeting (typically held the day before the start of the annual convention in the summer) and will end when new board members are seated at the 2017 annual Board of Directors Meeting. This appointment may be renewed. The Youth Representative shall work under the direction and supervision of, and is responsible to the Chairperson of the Youth Initiatives Committee. The Youth Representative is expected to attend all ATOS Board Meetings (including in-person meetings and telephone conference calls), the Annual Convention and Banquet, The Members’ Forum, and the Annual Membership Meeting. 1) Lowest economy round-trip airfare for each ATOS event the Youth Representative is expected to attend, including the annual ATOS convention and the annual and mid-year meetings of the Board of Directors. 2) Hotel costs for the nights the Board is in session and/or the nights the convention is scheduled (not including any pre-glow or after-glow events). 3) Convention registration fees and banquet fees. ATOS does not cover costs associated with meals and/or other personal expenses the Youth Representative might incur. 2) Submit an essay not to exceed two (2) double-spaced typed pages. The essay should include a discussion of leadership experience in any organizations, interest and involvement in ATOS and/or any local chapter(s), reasons why the candidate would like to serve in this position, a short statement dealing with the theatre organ’s viability and compatibility with current musical trends and ways this position will benefit ATOS and younger individuals. 3) Submit a biographical resume listing the candidate’s activity in any organizations, leadership positions held, involvement with any local ATOS chapter(s), and any other pertinent information. 4) Submit a letter of recommendation from an ATOS member in good standing. All applications and supporting materials must be emailed or received no later than June 30, 2016.